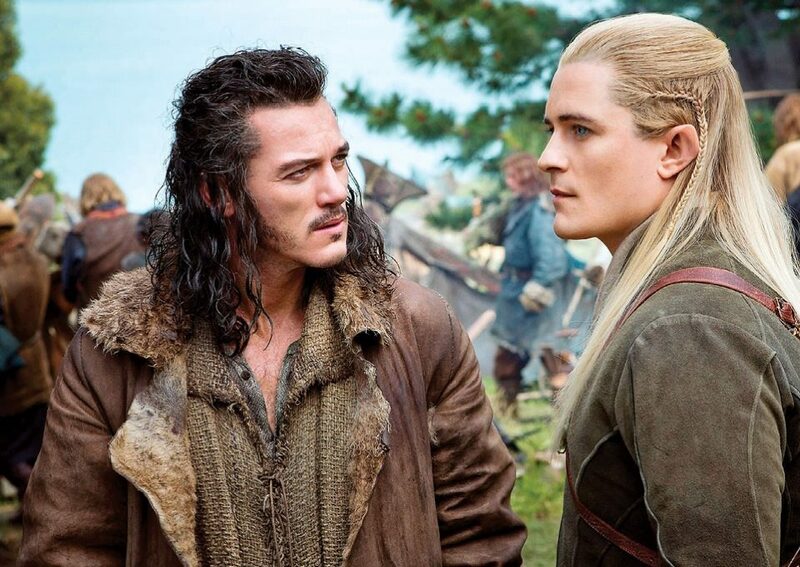 News from CinemaCon about the little new Hobbit material that was screened during the Warner Bros. presentation in Las Vegas last week has been thin on the ground. I’m sure that many of you have already pondered where these words might fit into the screenplay. I can come up with two scenarios. 1) Gandalf urging the his fellow members of The White Council to support an effort to drive Sauron from Dol Guldur. The problem with this is that once they know that Sauron has returned to Middle-earth, The White Council should have little hesitation in gathering its might. It seems unlikely that even the nobler, wiser (but heavily sceptical) Saruman that Chris Lee has promised us would resile from such action. However, canonically, Gandalf did urge action against the Necromancer several times, only to be rebuffed. So I wouldn’t rule that scenario out entirely. 2) Gandalf acting as peacemaker between the elves of Mirkwood, the Dwarves of the Iron Hills and Bard’s Lake-towners as news of the approach of Azog’s (or Bolg’s) armies of Goblins and Wargs reaches them. This seems slightly more likely. In The Hobbit, the elves and dwarves come perilously close to trading blows (they get at least as far as an exchange of arrow-fire). It is only Gandalf’s last-minute intervention that prevents tragedy, uniting the two sides against a common foe. This line could form part of a parley situation. “Nothing sure. I fear at what might come”.